This web page is in regard to regulatory changes in the motor carrier industry, especially in CSA2010 and their scoring and rating system. There is a group of attorneys (and others) who have taken strong and effective action against some of the new changes coming out of the FMCSA and the National Academies of Sciences recent report. If there is ANYONE who makes his or her living in transportation, freight, brokering, forwarding and other related logistics’ positions, you need to pay attention to what is going on in these industries, with the FMCSA and with the National Academies of Sciences. 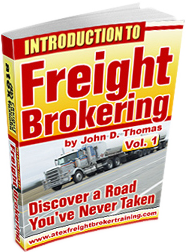 >>> Transportation Broker Training <<<. We cannot allow the National Academies of Sciences Report to go unchallenged in the regulatory review process. The systemic flaws in the methodology we pointed out have not been addressed. The report finds that SMS methodology is “defensible” a finding which will obviously be seized upon by plaintiff’s bar to justify its continued admission in accident litigation to increase judgments and up-supply chain liability. We are not sure at this juncture how the new administration will direct the actions of the FMCSA but are confident from initial reports that the report is being read and interpreted as a vindication of the methodology albeit subject to major review involving more mega data. The agency and the NAS must be held accountable for not considering the systemic flaws which were presented to them. The agency has several months to come up with a corrective action plan, but our industry will continue to suffer if the guidance permitting use of SMS methodology is not repealed and replaced with the proposed objective biannual desktop audit which, unlike SMS methodology, would meet Congress’ goal of providing a safety fitness determination for all registrants. It is important that we present our position to new appointees at the FMCSA and DOT level as well as to other key trade associations that otherwise might uncritically endorse the NAS report. In addition, we have presented to the agency a regulatory reform initiative consistent with the outstanding Executive Orders which are needed to establish due process and the enforcement of reasonable rules of commerce. Please take a moment to review this letter and the attachment and provide me with your thoughts. In summary, the Agency’s regulatory reform agenda should begin with critical examination of the many quasi-rules that it has promulgated in recent years, including but not limited to SMS. To the extent these quasi-rules were devised without benefit of APA due process, Commenters submit that they likewise can and should be withdrawn without APA notice and comment. With regard to strategic planning, the Agency should start by rethinking its entire approach to regulation of motor carriers. Because sound regulation depends on sound data, the Agency’s first and foremost strategic goal should be to improve the quality, accuracy, completeness and accessibility of its data. In addition, it should pay renewed attention to the need for regulatory certainty and uniformity as support for sound marketplace conditions in the nationwide industry it regulates ….